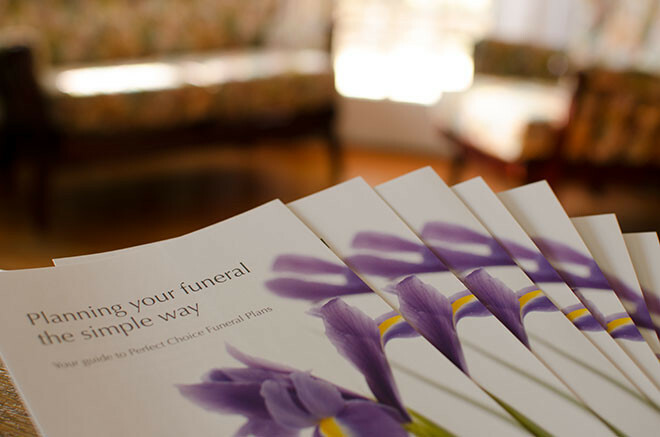 There are many products on the market that offer to provide a pre paid funeral service. These products are not always providing the same level of service. Where will your money be invested? How much will it grow? How much will the funeral home receive? Will there be any costs to pay at the time of death? We are more than happy to go through all of these factors and try to provide you with the product that will suit your needs. Most modern plans work on the principle that the Funeral Directors costs must be guaranteed at the time of purchase, no matter how long before those services are needed. The other fees will be your contribution to the disbursements, for example, the Crematorium, Priest, flowers and press notices. If any of these fees have increased faster than the investment then the difference will need to be paid (this is particularly relevant for Cemeteries and privately owned Crematoriums). In some plans only the management fee is taken by the plan provider. All of the other funds are invested, ring fenced and protected. This investment should grow and ALL of the funds will be passed to the funeral home at the time of need. Not all plans operate in this way. Some providers take a bigger share of the funds, leaving in some cases, less money for the funeral than was originally invested. Please contact us to discuss this further. Pre arranging your funeral is always an option. It is about letting your family know your wishes; these can even be recorded at your chosen funeral home or placed with a solicitor until the information is needed. Organising a loved one’s funeral is not easy but if their wishes are written down in front of you it certainly makes the process easier. Rather than worrying about what that person would want you can make sure that their wishes are carried out. Contact us to discuss your requirements and questions further. Members of the National Association of Funeral Directors.